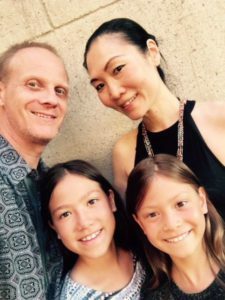 We have been living in Malaysia since 2007 and I had my children while in KL. As they grew up, my French husband wanted to make sure they get the best education and a place where they can learn the French culture. They attended a small Montessori school before we moved them to LFKL. 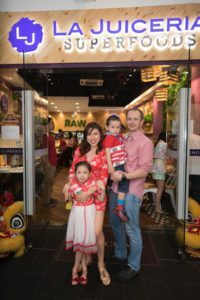 The moment I stepped into LFKL, I could sense the spirit and all the things that French stand for, and was happy that my kids will have “a piece of France” while growing up in Kuala Lumpur. The school grounds were impressive and most of all, when I met teachers and parents during the early stages, I can sense the culture of equality. I have seen many expats and their kids who have gone to other international schools and somehow there is an air of exclusivity or something I cannot pinpoint in words. For LFKL, it felt like home immediately. Both my kids are happy attending school at LFKL. We never had bad moments. They seem to look forward to school all the time. It is a comfortable place and we do not hear major complaints. I can see the progress of their French and English, especially at the beginning, on their 1st year at the school. They also enjoyed all the teachers they have had so far, perhaps we have been lucky that LFKL always assigns the good ones. Most definitely, we see the developments and positive changes that happened while they are attending school there. The things they have picked up are far more than just the French language. The cultural understanding and the balance of beyond just books & lessons are some of the things we value that LFKL brings to the students. I have met other parents from other international schools and it seems there is too much involvement from the parents all the time. I find that LFKL has a good balance in terms of parents’ engagement. It is not lacking, and it has initiatives where parents get to come and meet the teachers and other parents. The cultural activities are also very good, allowing parents to gather once in a while in a fun environment. The balance that the school was able to do for parents also reflects on the balance that it can do for the children. Having activities beyond just studies help shape interactive children that has confidence. My little Nicolas started school this year 2017-2018 in the moyenne section (2nd year of kindergarten) while his sister Alexandra started moyenne section also in 2013. Throughout all the years and in this new school year, we have enjoyed the school activities like the Christmas celebration (marché de noël) and gathering where they sell some food and have activities (e.g. this Dec 2017 my daughter joined the fashion show and my son went up the stage to hug her and also walk with her). That was so memorable. The moments also whenever they are AMIE DE JOUR, our family gets stressed preparing the food and drinks for them, but despite the “stress” we always remember these moments as part of their childhood in LFKL. April, 2007 – when I was holding my new born baby girl – Amelia at SJMC Hospital waiting for my husband’s car to arrive to get home, I saw a lady – wearing a French School of Kuala Lumpur T-shirt. Gosh! There is a French School in Kuala Lumpur. I spoke to her (that’s CC – a Malaysian lady who used to work at the school’s Accounts Department), got her contact and at that moment, deep inside my heart – I knew this was going to be my baby girl’s future school. Besides my husband being a Belgian and speaking French as his second language, me as a Malaysian, who has been submerged by French language since I was 18 and adoring French culture and the total contrast of “Liberty” philosophy of my very own Chinese culture. It was natural for us to send our two girls, Sara, now aged 10 and Amelia, aged 11 to LFKL from the very first day of their school year – the “Très Petite Section”(1st year of kindergarten). In September 2009, Amelia started her “Très Petite Section”. She had zero French at that time and almost “couldn’t talk” at all in class for 3 months. However, thanks to the special effort** of the teacher and the Atsem (class assistant) towards non-French speakers, she picked up French very quickly. She sailed through her school years up until now in CM2 (last school year of Primary), without any problem coping with school works, and of course, enjoying friendships from many class mates with different nationalities and cultural backgrounds. ** French speaking kids and Non-French speaking kids are separated into 2 groups when it comes to language class – when one group is learning French, the other one is learning English. 3. Do you feel like your child is changing & growing in LFKL? If so, how? The French education system is very different from the English or Malaysian education system. It really implements what the French believe in – the Liberty & Equality. The children do not need to wear uniforms, they are free to choose what they like to wear and that indirectly train them how to wear appropriately. The little children are not forced to address teacher by their title but are allowed to call them by name – that instill their value of human equality from the very young age. Needless to say, the cultivation of French arts and gastronomy, at age 10 & 11, they always amaze me as an independent young adult. I notice that LFKL is designed to teach quite individualistically. Children are not forced to learn and shape into the same mould. The evaluation of progress is done over an extension parameters based on each individual without competing among the children. This approach provides a fun and relax learning atmosphere at school. On top of that, LFKL is relatively small compared to other French school in the region, everyone from the headmaster to the teachers to the “surveillants” know each student like a family that makes the children have a strong sense of belongings to the school. As a passionate swimmer myself, both my daughters are trained to swim from young age. Every year, the French schools in the Asia Pacific region are having a swimming competition – which is called CAN (Championnat Asie-Pacifique de Natation). It has been 2 years that Amelia & Sara were trained for the selection but unfortunately, they failed with various reasons. The reality shows that the level of the selection is very high, and LFKL is definitely a good school to train good swimmers!